Details will be available here and mailed out to member federations. 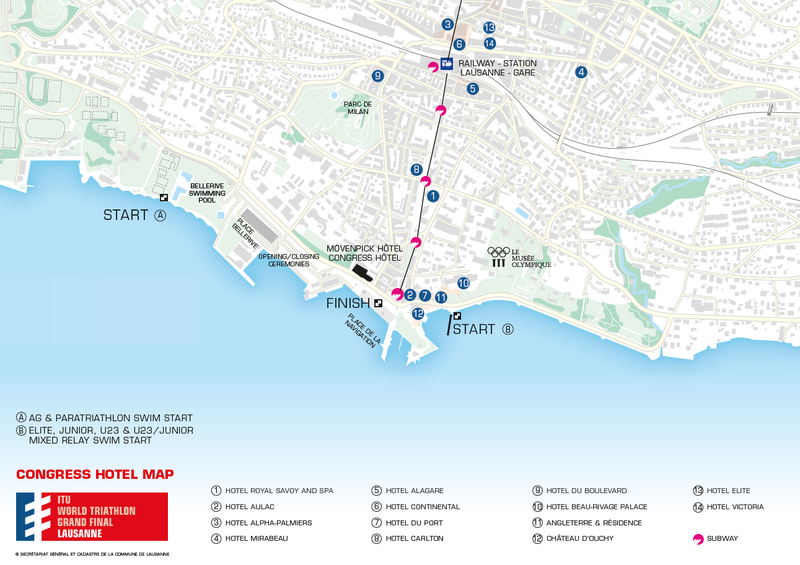 If you stay in a hotel and you pay the overnight “taxe de séjour”, you get automatically the Lausanne Transport Card for free which gives you free and unrestricted access to all public transport services in the city (bus, train, metro). The metro will take you directly to the lake, next to the Congress Hotel and next to the venue. More info on the access. For Transfers from Geneva airport to Lausanne (round trip), a special booking platform will be available online. You must not book the transfers through Nirvana as this service is offered to the Congress Delegates by the organising committee. All transfers booked through Nirvana will not be reimbursed. You will be informed when the booking platform will be open.